While majority of us imagine the Transformers movie or irobot when we hear the term robots. Thoughts of how the future may be fills our mind. Also images of the machines on assembly lines or those auto vacuums or coffee makers. However today we have a new generation of robots which are popping up in the binary options trading world. These are online robots that needs some programming to ensure they do the duties required as the user expects. 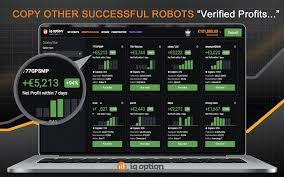 So let us introduce you the iqOption robot. So Are you not getting the success rates that you you would like from trading and not sure of what trading strategies you should use? 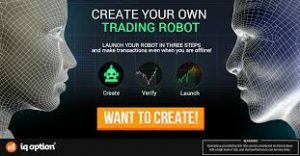 Most of all with IQ robot you can copy and create new strategies to grow your trading profit. So you may be thinking what are binary options robots? Well this is software created so you can program it according to your preferences to automatically make certain types of trades on your behalf. Hence this is especially beneficial to those types who would like to trade binary but just don’t have the time or they hate watching charts continuously. Furthermore in the world today people are always looking at more convenient ways of doing things. Hence auto trading is becoming increasing popular. Well, iqOption is a leader and highly innovative site on which binary traders sign up to do short term trades on the financial markets. In my personal opinion iqOption has the most sophisticated platform so far. User-ability, Necessary tools and indicators coupled together with one of the cheapest initial investment amount of just $10, are just but a few benefits they offer. In fact I was anxiously awaiting the release of this iqOption robot as the trading platform is so great already so imagine the IQ robot. As you may know that there are a few auto trading software and ”robots” out there for convenient trading. 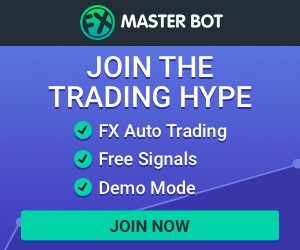 However, unlike those, iqOption is robot is unique as the trader can create their own robot with their own parameters to suit ones trading strategy and style. So How Do you Use This Robot? Exposure (eg: Amount to trade). Assets (eg: EUR/USD or Gold). Expiration times (eg: 5min to end of day). Use of indicators (eg: SMA or Bollinger Bands) and such. So once you have personalized your IQ robot, let it do its thing and sit back. The iqOption robot will make trades only as you have instructed (programmed) according to how you set it up. The benefit of using IQ robot is that you never have to worry about missing the opening of a trade because of human error or internet speeds. Further to that because you can set up your limits you need not worry about losses exceeding your set up limit. Although a slight disadvantage is that you should have some knowledge of trading in order to set up IQ robot perfectly. However with that been said another great feature is the sharing capability. This means that other traders that have developed settings and strategies to make their iqOptions robot profitable can share it with other users. If your robot is profiting well you can do the same too. Because of this new innovative auto trader, binary options trading just got more efficient. So to conclude, you need to know that yes, going forward you as a binary options trader can create and personalize your very own iqOption Robot. In addition you can share your profitable IQ robot with friends and other traders around the world. This should be very successful and bring in many new traders to IQ. Because already so many enjoy iqOption trading platform and site. Some background to Auto trading software. This is not some magic or pulling straws to produce winning trades. In fact these are actually programmed software that uses complex mathematical algorithms to make predictions on outcomes in the future based on the prior historical asset price data. This allows the program to notice signals of trends in a similar pattern as the past historical data. Once this data correlates strongly enough, it gives the auto trading software a signal to place a trade accordingly. This is the first platform in the world (not third party app or software) that allows you to automate binary options trading. Change is here. Always remember trading is risky and robots more so. This is for the guys who like to do auto trading. Traders can test all parameters on actual historic data and personalize your strategy accordingly. While it can be a simple or complicated task to create your robot. Because it depends on your experience and requirements. Consequently copy the leaders. IQ Option auto-trading platform is completely free to use. Finally successful robots are listed for you to choose from as a newbie. These are other traders own personalized robots that were profitable.